Though New Balance's 564 gives off the vibe of a vintage trail running silhouette, it's actually a relatively new model with a throwback approach and modern performance cues. Though New Balance's 564 gives off the vibe of a vintage trail running silhouette, it's actually a relatively new model with a throwback approach and modern performance cues. The shoe sports a sleek, streamline upper constructed with suede and leather, supported by a unique strap system that keeps your run secure. This particular pair is predominantly dressed in white, helped by a black heel, grey "N" branding and blue rope-style laces. Capping off the look below is a white midsole and black rubber outsole. 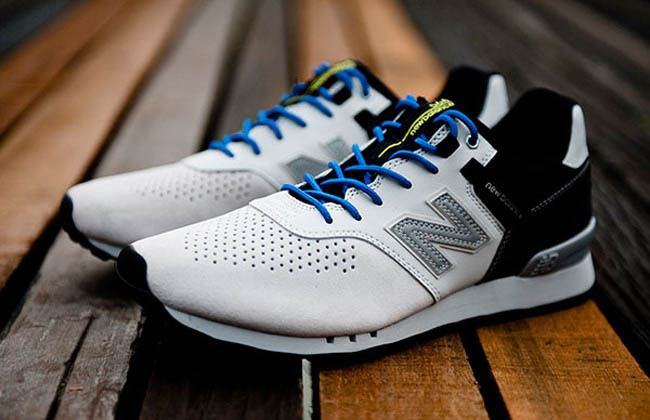 Look for this Fall 2012 564 at select New Balance retail locations today.